Virtua recently announced their commitment to increase colorectal cancer screening in South Jersey by joining a national effort with the American Cancer Society in the fight against this disease. The national percentage of adults 50 and older that are up to date with recommended colorectal cancer screening has increased from 56 percent in 2002 to 65 percent in 2010. By focusing on target audiences — newly insured, financially challenged, insured procrastinators/rationalizers, African Americans, and Hispanics — Virtua is in a good position to achieve 80 percent screened for colorectal cancer by the year 2018. 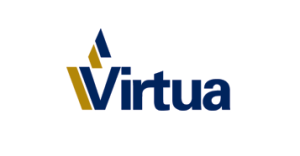 The announcement celebrates Virtua’s commitment to achieve 80 percent by 2018; a shared goal led by the National Colorectal Cancer Roundtable (NCCRT). The Roundtable was started by the American Cancer Society and the Center for Disease Control and Prevention (CDC) in 1997. Colorectal cancer is the nation’s third-leading cause of cancer-related deaths, but it can be prevented. Through proper colorectal cancer screening, doctors can find and remove hidden growths (called “polyps”) in the colon, before they become cancerous. Removing polyps can prevent cancer altogether. For more information about colorectal cancer screening, please visit www.cancer.org/colon or contact the American Cancer Society at 1 (800) 227–2345. For more information about the 80 percent by 2018 initiative, visit www.nccrt.org.